The flight from Lima to Cusco is stunning on a clear day so ask for a window seat. On arrival in Cusco a member of our Projects Abroad Peru team will meet you. It's a small airport and you simply need to pick up your luggage and walk outside, and you will be able to spot the Projects Abroad sign. It's a beautiful drive to the Sacred Valley, where the majority of our projects are based. "The social life was great! The other volunteers were brilliant and I quickly settled into a good group of friends. We did loads of treks and hikes. 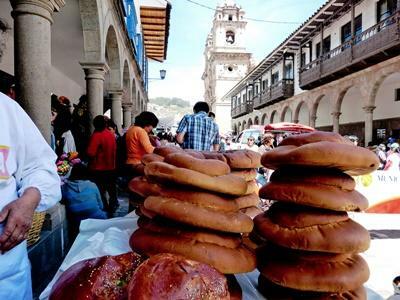 Urubamba and Cusco have some nice places to 'hang out' and getting to nearby villages was easy and cheap." Teaching, Care, Sports, Medicine & Healthcare and Language Projects are based in the Sacred Valley or Cusco. You will firstly be taken to our Peru office and given an induction to the town as well as meeting the staff, and will then be transferred to your accommodation. Your host-family will be eager to settle you in and make you feel at home, and you'll no doubt be offered your first meal of arroz con pollo or lomo saltado, washed down with coca tea. You will have a couple of days to settle in and find your feet before beginning your work placement. Projects Abroad Peru staff will collect you from your accommodation and take you to your school or care placement, introduce you to your supervisor, and discuss a timetable. You will have some time to observe at the beginning of your placement, and we encourage you to get more involved as you feel ready. Incan & Wari Archaeology Project volunteers are based near the town of Lucre, which is a 40 minute journey from Cusco’s city centre. All volunteers get involved in a number of areas and your main main focus will be on the investigation, mapping, and excavation of ancient pre-Inca structures. During your time at this project, you will live with a local host family. If you are volunteering on a Standard Project, all necessary work-related transportation costs will be covered by Projects Abroad. 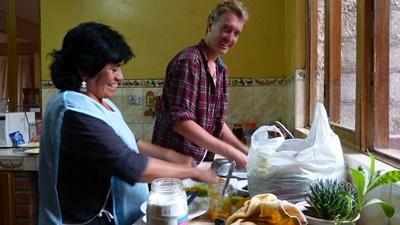 For volunteers based in the Sacred Valley we run Spanish lessons at the Projects Abroad office in Urubamba. There are introductory Spanish lessons for teaching and care volunteers in the first week, where we will help you with the basics. We then run 5-hour, 14-hour, 30-hour, or 60-hour Language Add-ons for those who would like to work on their Spanish while carrying out their placement. It's helpful to learn a little Spanish as before beginning your placement -it makes life much easier. You will generally be working Monday to Friday, and will have weekends to relax at home, visit a town or travel with volunteers you have met. During your independent travel time there is plenty to see - from jungle, to beaches, to rural Andean towns - and many volunteers travel to neighboring countries such as Chile, Bolivia, or Ecuador. Volunteers can fly directly from Lima to Puerto Maldonado. You will be met in the morning at the airport in Puerto Maldonado and will be taken either to a hotel or the Projects Abroad office to wait for the boat to Taricaya. While you wait, you will have a chance to relax and adapt to the humidity of the local area. Once you arrive at Taricaya, you will have an induction to the lodge, and over the following days will be shown the various projects that are taking place. We encourage you to get stuck in, ask questions, roll your sleeves up, and get involved. You can find out more about this project, the work, and accommodation on our Amazon Rainforest Conservation Project Page. All volunteers participating on Standard Projects in Peru have the opportunity to spend one week on a Conservation & Environment Project at the end of their main placement. 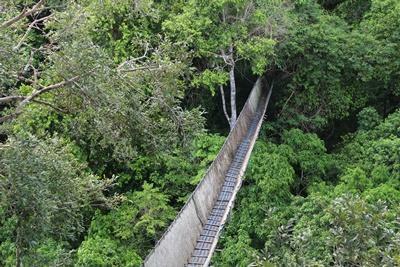 For more information, please visit our Amazon Rainforest Conservation & Environment Project in Peru page. Our Combinations Page explains how you can combine not only projects, but also destinations.